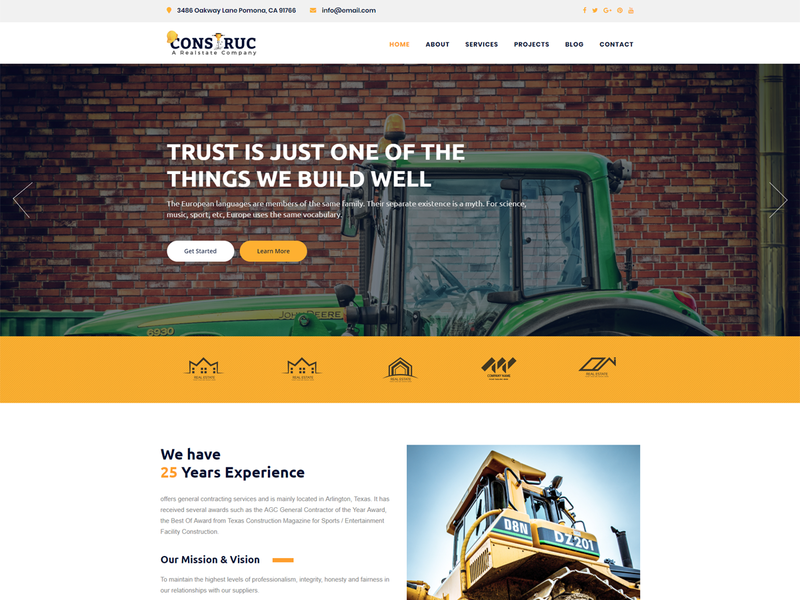 Construc WordPress theme is specially designed for construction company website. Construc theme is suitable for your construction, building development, builder, property listing, Architecture, directory listing website. very clean and high definition look. This theme will attract your customer to see your works. Fully functional, Responsive, Retina Ready and SEO compatible theme.